Larry Cherubino’s Panoo Vineyard in Porongurup. As regular readers will know, I love Riesling. There is something so fascinating, mysterious and beguiling about this grape. It is hard to pin down. The flavours and aromas seem to come and go and to give you unformed sketches rather than fully formed pictures – much like Pinot Noir does for red wine. I find Riesling to be very versatile – I will happily drink it on its own and it is equally good wth most light dishes as well as being perfect with Mediterranean dishes – it seems to really compliment olive oil and garlic. Riesling is also perfect with spicy cuisine – especially Thai, south east Asian and Keralan (southern Indian). What’s more the wine is usually quite low in alcohol – rarely more than 12% – so it never takes the same toll of my few remaining brain cells that a red wine does. Add to that the high acidity makes it not only clean and – hopefully – vibrant, but refreshing too. Well, the other day I tasted a stunning Riesling from the Great Southern region of Western Australia that was delicious and hugely enjoyable. So much so in fact that I made it my Wine of the Week. Larry Cherubino’s Riversdale North Vineyard in Frankland River. Robert Oatley was an amazing man who had many business interests and passions. He famously owned the racing yacht Wild Oats XI and created Hunter Valley’s Rosemount Estate in 1968, making him a true Australian wine pioneer. 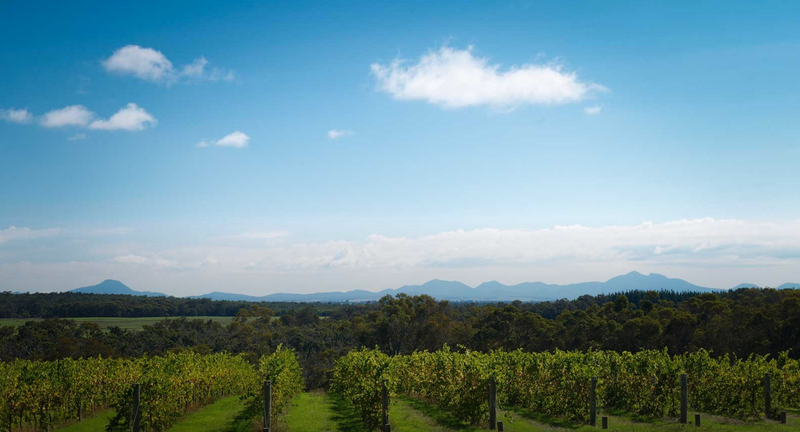 After he sold Rosemount, Robert and his family set up Robert Oatley Vineyards in 2009 by purchasing the old Craigmoor Estate, which was founded in 1858 and was the first winery in Mudgee. They are based there, but also farm and make wine from grapes grown in the Barossa Valley and McLaren Vale in South Australia, the Mornington Peninsula and Yarra Valley in Victoria and Pemberton, the Great Southern and Margaret River regions of Western Australia. They aim to show the diversity of Australian winemaking and all the wines that I have tried show that their quality is very high. Sadly Robert died last year, but the winery that bears his name lives on and from what I can see makes some very good wines. 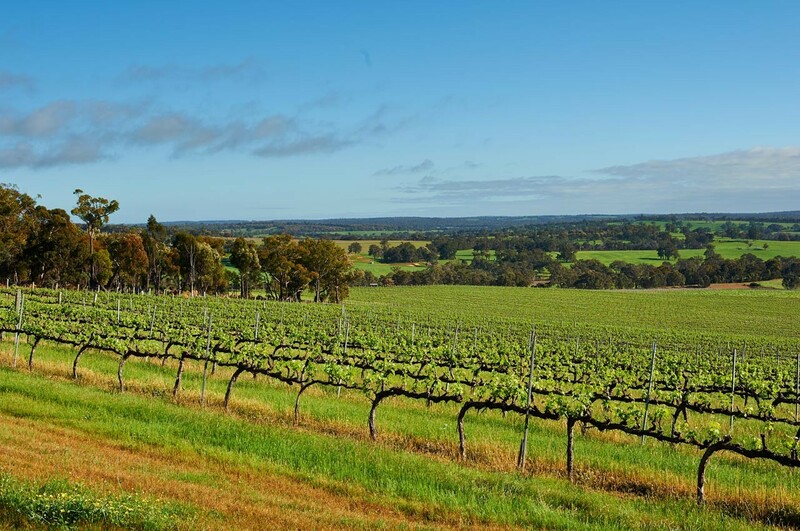 We see quite a lot of wines from the Margaret River region in this sparsely populated state, but not much from the other wine making areas. 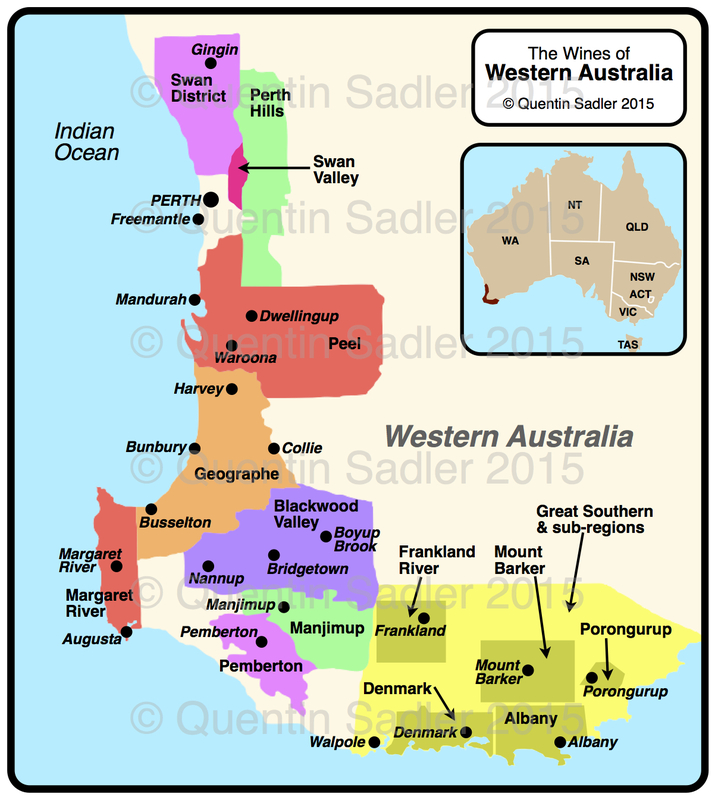 The Great Southern and its sub zones is a pretty impressive wine region – the largest Geographical Indicator in the world at 150 km north to south and 100 km east to west – and seems to be producing some very high quality wines, especially Riesling, but also Cabernet, the Mediterranean grapes – Fiano, Tempranillo, Grenache, Mencia, Counoise and even a little Pinot Noir. 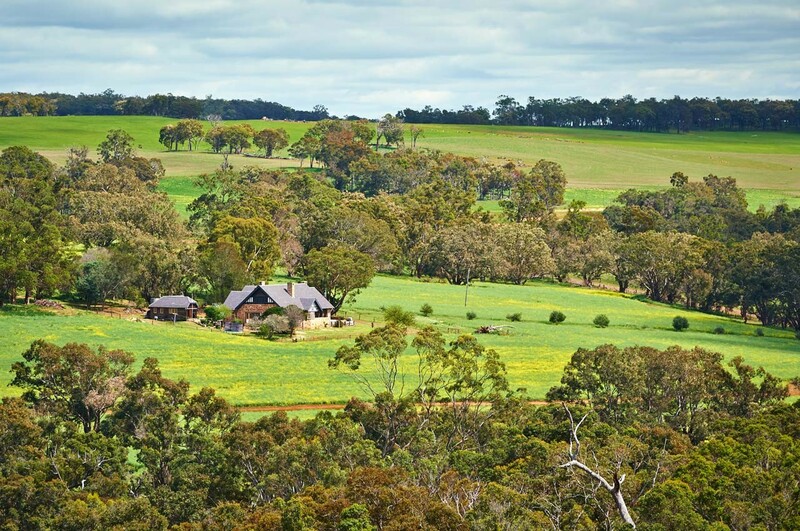 Broadly speaking the climate is Mediterranean, although more continental as you move inland and this wine is made from fruit grown in the Porongurup, Frankland River and Mount Barker zones. Larry Cherubino’s Riversdale South Vineyard in Frankland River. The great Larry Cherubino is the chief winemaker for Robert Oatley wines. Larry produces his own wines too and his vineyards are all in Western Australia, especially the Great Southern and Margaret River. The wine making for this wine is simple, as befits Riesling, leaving the fruit to speak for itself. Only free run juice is used, cold fermented with neutral yeast. The wine has an alluring pale lime and silvery hue, while the nose is bright, but pure, stony and taut with a waft of lifted lime, dry honey and the merest hint of Riesling’s trademark kerosene – don’t let that put you off though, it’s lovely. The palate sings with this cleansing feel of high, lime-drenched acidity making it feel pure, like a mountain spring. There is however an underlying richness and texture to the wine that balances that freshness beautifully. A real triumph with a long clean finish bursting with zesty lime flavours – 91/100 points. Available in the UK for around £13 per bottle from the Cambridge Wine Merchants (currently 2014 vintage), The Halifax Wine Company (currently 2014 vintage), Hailsham Cellars (currently 2014 vintage), Wine Direct (currently 2014 vintage), Bon Coeur Fine Wines (currently 2013 vintage). Grenache vines at Cantine di Orgosolo, Sardinia. I recently had a fascinating experience. I was a wine judge in the Grenache du Monde competition. This was the fifth edition of this competition that solely judges wine made from that most beguiling of grape varieties – Grenache. I only fell for Grenache’s charms relatively recently in fact, but boy did I fall. Red Grenache wines often have lots of fruit, soft tannins and deliver lots of pleasure. I am also drawn to the delicious whites made from Grenache Blanc and Grenache Gris and the more elegant red styles from cooler places. So, I do seem to now love Grenache in all its guises and so was thrilled to be invited to judge Grenache wines from all over the world. What’s more the competition was in Sardinia, so all in all it was a pretty exciting week. So, first of all what did we taste? Well, there are at least four Grenache grapes; 2 black grapes, Grenache Noir and Garnacha Peluda as well as the white Grenache Blanc and the pink tinged Grenache Gris. Grenache Noir is the most important of these, it is one of the most widely planted grapes in the world – indeed it might well be the most planted black grape in the world, because there is so much of it in Spain. On top of that Grenache goes by more than 20 different names, but I only knowingly got to taste examples called; Grenache (in France and the New World), Garnacha (in Spain), Garnatxa (in Catalunya), Tocai Rosso / Tai Rosso (in Veneto, Italy), Cannonau (in Sardinia) and, confusingly, Gamay. In Umbria they call Grenache Gamay, or Gamay del Trasimeno or even Gamay Perugino. What’s more the competition didn’t just taste wines made from pure Grenache, but as it is frequently used as a blending grape – in Côtes du Rhône and the Languedoc-Roussillon for instance – blends were included in the competition as well, as long as there was at least 60% Grenache in the wine. There was every style of wine too, dry white, rosé, sparkling, dry red, sweet white and sweet red too. A total of 684 wines were entered and they came from 8 countries: South Africa, Australia, Spain, France, Greece, Italy, Macedonia and Lebanon. There were 100 of us judges and we divided up into panels of 5, so I did not get to taste all the wines during the judging, but I had a darn good try during the tastings afterwards. I was very impressed by the overall quality of what I tried and personally awarded some pretty high scores. My fellow judges seem to have agreed with me and there were 104 Gold Medals awarded, 87 Silver and 22 Bronze. Spain was the overall winner with 108 medals – out of 322 wines submitted – France entered 149 wines and gained 51 medals, Italy entered 204 and won 51 as well, while Australia, Macedonia and South Africa all gained 1 medal each. Everything was tasted blind, so it was reassuring to discover that I had given high marks to some old friends as well as exciting to discover completely new things. Wine map of France, Chêne Bleu are just north of Avignon and Banyuls is on the coast right by the Spanish border in Languedoc-Roussillon – click for a larger view. The vineyard and winery at Chêne Bleue, Domaine de la Verrière. I love what Chêne Bleu does and have written about them here and here, so it was no surprise that this stunning wine received a Gold Medal. It is a biodynamic blend of 85% Grenache and 15% Syrah aged for 18 months in French oak barrels. The vines are grown at around 500 metres above sea level and are between 30 and 40 years old. There is concentrated fruit, rich herbal characters and a nice touch of spice too. This is a rich, elegant, refined and utterly delicious wine – 95/100 points. Available in the from £50 per bottle from Justerini & Brooks, Wine Direct and Waitrose Cellar. Banyuls is the closest thing to Port produced in France. It is a sweet fortified red wine made right on the border with Spain, from Grenache grapes and it can be utterly delicious. This is wood aged for 12 months, but still opaque, rich, dark and sugary, much like a good Ruby Port. Blackberry and sugar plums and wild raspberry together with wild herbs, sweet spice and cocoa dominate the aroma and flavours. A lovely style that we do not see enough in the UK, try it with something chocolatey – 93/100 points. 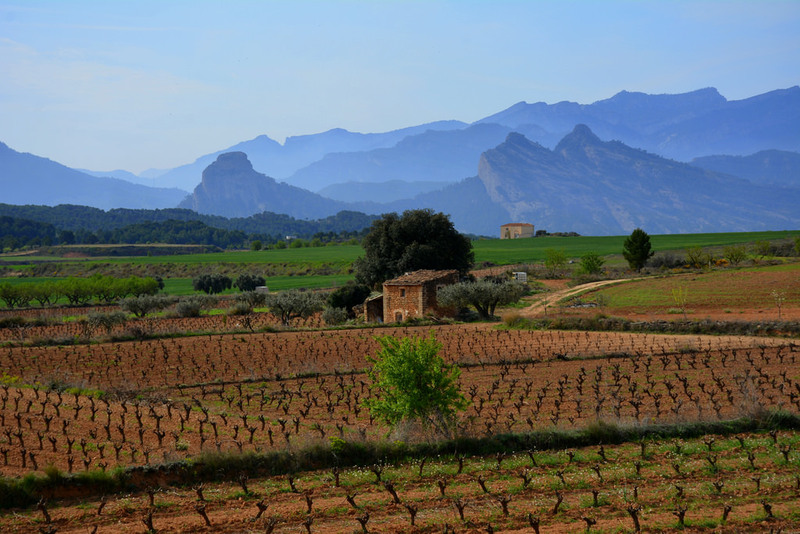 Spain is always a great wine producing country to go to for value and nothing epitomises that as much as what they do with Grenache, or as they would call it Garnacha or even Garnatxa in Catlunya. I love what Bodegas San Alejandro do in Spain’s Calatayud region in Aragon. I fell in love with their wines a long time ago whilst staying in the amazing Monasterio de Piedra – it’s a medieval monastery that is now a hotel within a wonderful natural park that contains a series of waterfalls that are the highest in western Europe and it is a magical place. Anyway, it’s near the winery and so the restaurant lists their wines. In fact it was their Baltasar Gracián Garnacha Viñas Viejas that started me on the way to loving Grenache. The wines are so good that they won four Gold Medals in the competition and all the winning wines are well worth trying. Sadly you cannot get them in the UK, but you can order them to be delivered – until Brexit reimposes limits and duty anyway – from the likes of Uvinum and Bodeboca.com. 60% Garnacha with 40% Syrah aged for 12 months in a mix of French and American oak. It’s a big wine that carries its 15% alcohol very well. Intensely ripe and very generous with plenty of coffee, vanilla, liquorice and earthy tones developing as it ages. A lovely wine that I cannot find in the UK – 91/100 points. 70% Garnacha with 30% Syrah aged for 18 months in French oak. Another big wine that carries its 15% alcohol very well. This is soft, rich and spicy with loads of ripe red fruit and coffee and vanilla – 92/100 points. A stunning wine made from 80 year old dry farmed bush vine Garnacha grown in slaty mountain soils at about 800 metres above sea level. It spends 10 months in a mixture of French and American oak barrels and is simply wonderful. Full of flavour,full of life and personality. It is deeply concentrated, mineral, balsamic and liquoricey with a long finish. Great with game – 93/100 points. This version is made from the oldest and highest vines, 82 year old plants growing at 900 metres. The wine is aged for 12 months in new French oak barrels. They only made 2600 bottles and again it is superbly concentrated, but more smoky, intense and savoury this time, while the finish is silky and refined. Like all their wines, it is big and bold, 15% again, but elegant too in its own way – 94/100 points. 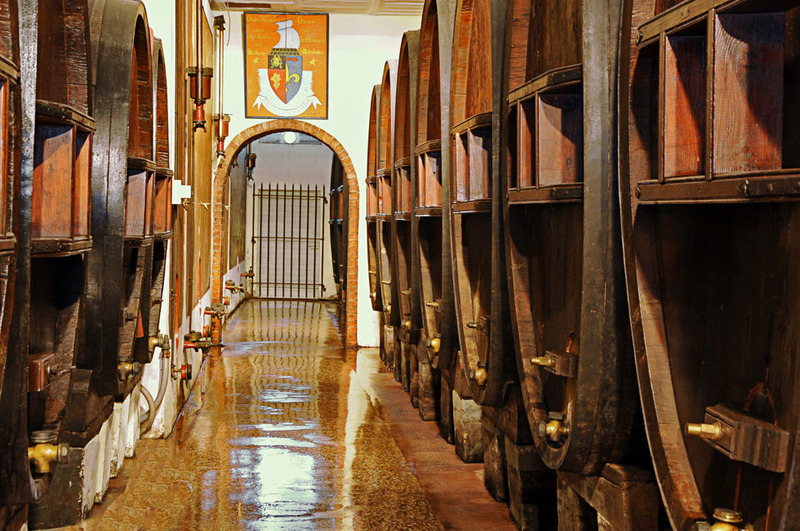 Aragon is a great area for Garnacha production and the wonderful Bodegas Borsao in the Campo de Borja – the Borgias came from there – also won 4 Gold Medals as well as a Silver. Again I cannot find any UK stockists, although Wine Rack used to sell them, but they are also available from the likes of Uvinum and Bodeboca.com. Garnacha bush vines at Bodegas Borsao. 80% Grenache, 20% Syrah grown at 700 metres above sea level and aged 14 months in French barriques. This is a fine, aromatic wine with rich red cherry, some black cherry, liquorice, earth and balsamic notes. The tannins are soft and it is delicious – 92/100 points. This 60% Grenache, 20% Merlot and 20% Tempranillo, also grown at 700 metres above sea level and aged 10 months in French and American barriques is a little silver and firmer, with more savoury and dark fruit characters, more classically Spanish perhaps – 92/100 points. 70% Grenache with 30% Syrah, made from younger vines and only aged for 3 months in French oak.It is very ripe, very bright with some lovely firm spice and it still got a Gold Medal despite being around €5 in Spain – 91/100 points. Another Gold Medal winner, 85% Garnacha, 10% Tempranillo and 5% Syrah and with no oak. This is juicy and delicious with lovely fruit and spice. Robert Parker said this about a previous vintage, which probably says all you need to know; ‘Possibly the single greatest dry red wine value in the world, this is an unbelievable wine’ – in case you didn’t know, Parker – and perhaps other Americans – use the word ‘value’ in that very odd way that jars. I would say is it’s great value. A value to me is a quite different meaning, ho hum – 92/100 points. 100% Garnacha from 35-60 year old vines and aged 5 months in French oak barrels. This is very intense with bright, ripe, juicy, succulent fruit, floral aromas, spices and a silky, smooth, rounded palate. A wine that always delivers a huge amount of pleasure – 91/100 points. 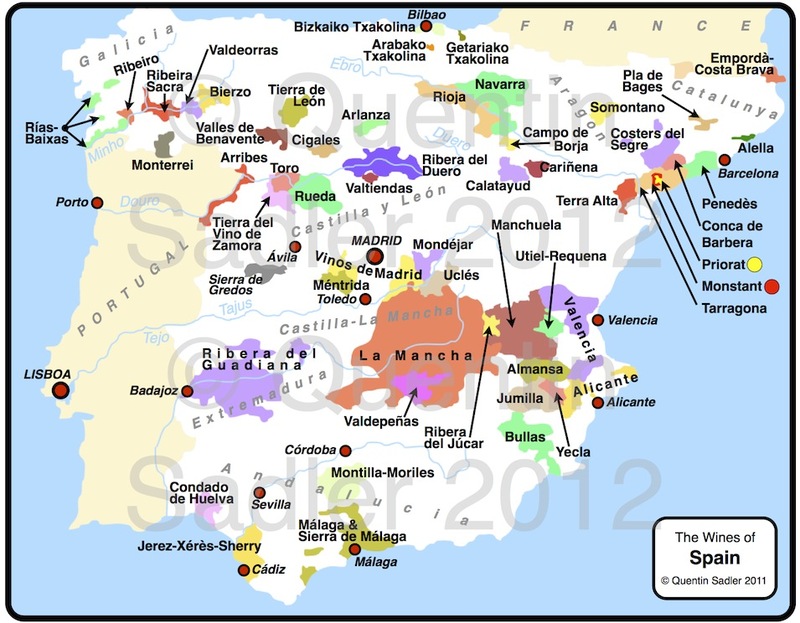 Perhaps the most highly thought of part of Spain for Grenache based blends – Aragon and Navarra specialise more in pure Grenache wines – is Catalunya with its trio of exciting regions; Priorat, Montsant and the decidedly up and coming Terra Alta, which as you can see on the map is not far from Calatayud. Historically it was rather cut off because of all the mountains, but the Mediterranean ensures the grapes ripen very well, while the stony soils keep vigour down ensuring the grapes are concentrated and flavoursome. My panel judged a whole flight of 11 red wines from Terra Alta and they were very good indeed, some of my favourite wines of the competition came from this flight – Terra Alta is avery exciting wine region and these examples are the best that I have ever tasted. This Gold Medal winning wine is a fabulously exciting blend of 60% Garnacha Peluda (Hairy Grenache), 30% Syrah and 10% Cariñena, or Carignan. The vines are over 40 years old and the wine is aged in 500 litre French oak barrels for 12 months, so twice the size of normal barriques, so it softens the wine rather than flavours it. This truly delicious, smooth, rounded, plump, herbal, spicy, mineral, elegant and concentrated, one of my top wines of the whole competition – 94/100 points. Available to order for delivery into the UK – Brexit permitting – from Decántalo and Uvinum. This is a blend of mainly Garnacha with a little Syrah and Cabernet Sauvignon and it is another stunning wine, again concentration is the hallmark here, with rich cherry fruit, balsamic, liquorice, herbal, spicy characters and minerality and freshness giving the whole thing balance. This is a beautiful wine that I want to enjoy with some slow cooked, garlicky lamb – 94/100 points. Lafou also make a (much) cheaper wine called Lafou El Sender which is available in Waitrose and Waitrose Cellar for £10.99. This organic white wine is 100% Garnatxa Blanca barrel fermented and aged for 8 months in French oak. It is creamy and gently toasty and smoky,with lots of succulent orchard fruit, herbs and spices.There is enough acid to keep it balanced and refreshing, but at its heart it is all about the texture and mouthfeel. A beautiful white wine, full of character and perfect with a selection of different cheeses – 93/100 points. Available to order for delivery into the UK – Brexit permitting – from Uvinum. Another amazing wine from this up and coming region. The blend changes every year and I have no idea what the 2014 is, but it includes Syrah, Grenache, Carignan and Merlot. 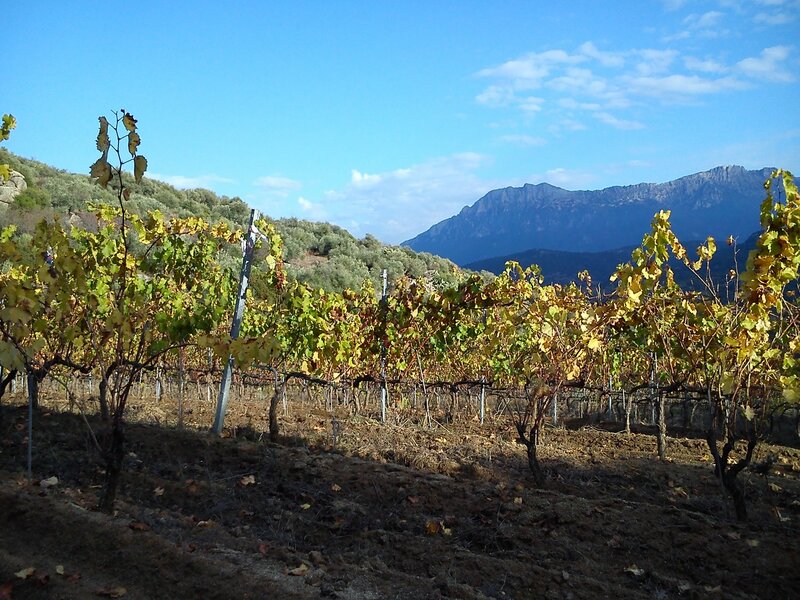 The vines are 30 year old and grown on rocky slopes with low vigour. The finished wine is aged for 10 months in French oak barrels to round it out and soften it. The fruit is very ripe, deep red fruit with some flashes of blacker fruit notes, even some kirsch. There is plenty of spice here too and the oak gives a lovely touch of coffee and cocoa. This is opulent stuff that needs time or decanting – 92/100 points. Available to order for delivery into the UK – Brexit permitting – from Vinissimus. Grenache is so associated with Spain and France that it comes as quite a shock to discover it in Italy. In fact it is grown in three different regions, in the Veneto’s Colli Berici region it is called Tai Rosso, formerly Tocai Rosso. In Umbria they call it Gamay del Trasimeno or Gamay Perugino and like Veneto seem to have grown it there since the mid nineteenth century, having brought it from France. 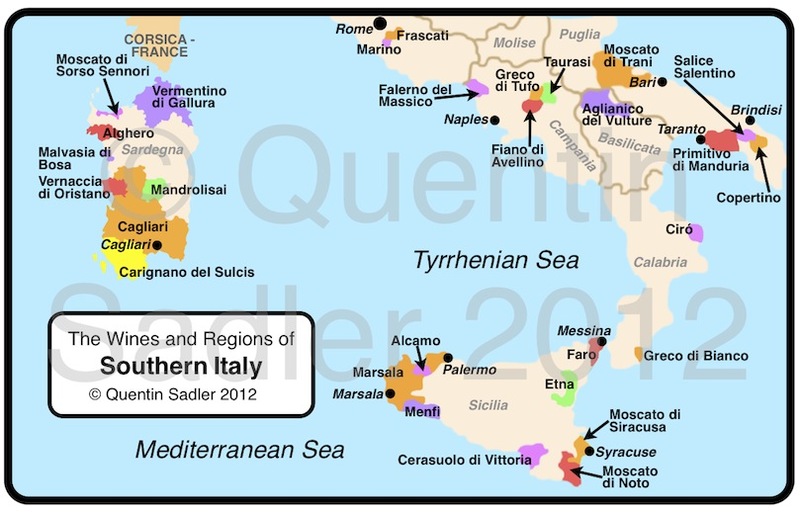 However, it is Sardinia that really specialises in Grenache. They call it Cannonau and the fact that they grow it, indeed specialise in it, is a reminder of their mediaeval past when the island was conquered by the Crown of Aragon, which was a joint Aragon and Catalan Kingdom that also ruled Valencia, Roussillon, the Balearic Islands, Malta, Sicily, Naples, Sardinia and even parts of Greece from 1162 to 1469, when it became linked with the Kingdom of Castille and eventually came to be called Spain. It is presumed that Aragonese or Catalan settlers took Garnacha grapes with them to Sardinia. Certainly Catalan people did settle there and Catalan is an official language around Alghero to this day. This sumptuous wine is a beautifully balanced blend of 85% Cannonau and 15% Bovale. Bovale is name used for two different grapes, both Spanish in origin; Bovale Grande is Carignan / Carineña / Mazuelo, while Bovale Sardo is Rioja’s Graciano. From a linguistic point of view I had hoped that it would turn out to be the Bobal grape of Valencia, but who knows that might have been the name they used – things were less precise and scientific in those days, people seldom knew what the grape actually was, just that they grew it and the local name for it. It’s richly fruity, blackberry and plum, and incredibly smooth with nice savoury earthy touches and soft, sweet tannins – 92/100 points. I know nothing about this wine, but suspect that its bright red fruit, smooth tannins and juiciness means that it is pure Grenache. It is very elegant though with nice freshness and balance. There is nothing rustic or overworked here, instead it has a pristine quality that is rare in Grenache – 93/100 points. Again I know nothing about this wine, except that it was the best rosé that I tasted the whole trip. Delicately scented of rose petals, red cherry and even some blood orange, those flavours follow on to the palate. It is a delicate, fine rosé with elegance and finesse, I loved it – 93/100 points. I was seriously impressed with this stripped down, acoustic style of wine. There is no oak here, just pristine, bright Grenache fruit that delivers waves of sweet ripe cherries, raspberries, plums and exotic spices. The wine is taut, refreshing and beautifully balanced and yet at heart a simple little thing. Fine wine making indeed and as far as I can see, this is their first vintage – 93/100 points. So, there you have it, some stunning wines made from members of the Grenache family, or blends that include Grenache. All of these are wonderful wines that certainly captured my imagination whilst I was in Sardinia. All of them have soft tannins, voluptuous fruit, spiciness and drinkability that people like in things like Côtes du Rhône and Châteauneuf-du-Pape, so if you enjoy those, then you will like these too. I hope that you get to try some of them, or perhaps just use the information to try Grenache wines from a wider array of places. If so, do tell us all about them, won’t you? The other week I was wandering around the Three Wine Men event in London and I found myself trying the wines on the Lidl stand. Many of you will know that I have a lot of time for Lidl. They offer very interesting products and, like Aldi, they seem to be able to put some excellent wines on the market at very good prices. Whether or not these great prices survive our leaving the EU remains to be seen, but right now they offer some staggering value. The beautiful Priorat landscape. Photo courtesy of Oficina de Turisme del Priorat. All the Lidl wines I tried that day were pretty good, but the star was something that absolutely astonished me. It was a red wine from Priorat, one of the very best wine regions in Spain, which normally produces some of Spain’s most expensive wines, but this one is an absolute bargain. The beautifully rugged Priorat landscape. 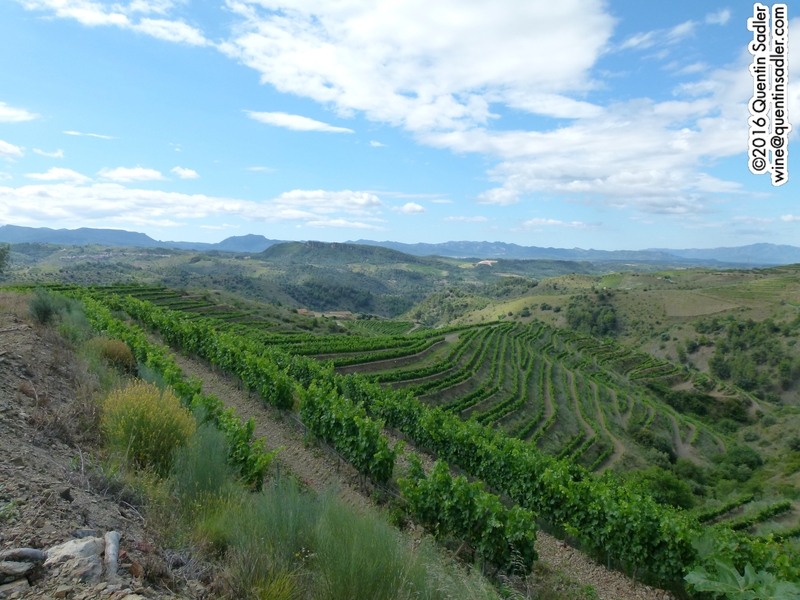 Priorat – Priorato in Castellano, or proper Spanish – is one of Spain’s great regions and it produces many of Spain’s most famous, most expensive and sought after wines. 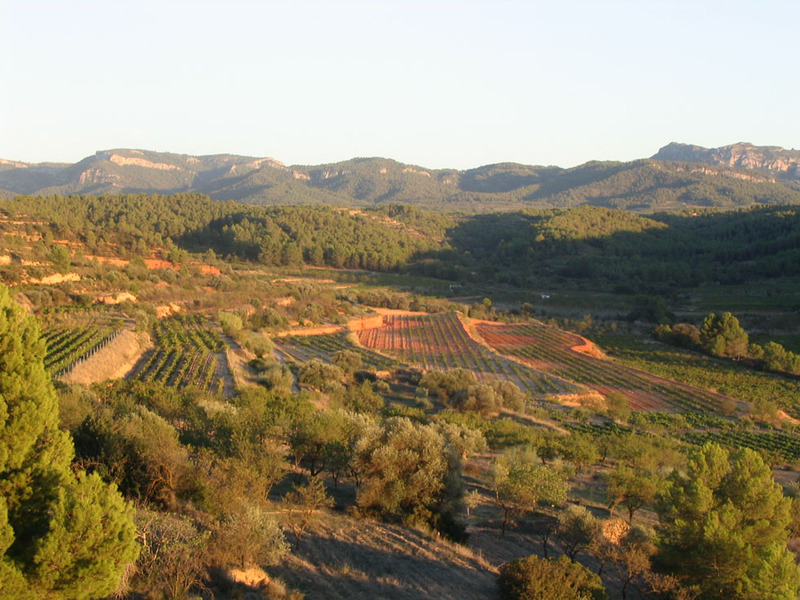 Indeed Priorat is one of only two Spanish regions – the other being Rioja – that is labelled with the prestigious PDO status of Denominación de Origen Calificada / DOCa – Denominació d’Origen Qualificada or DOQ in Catalan. 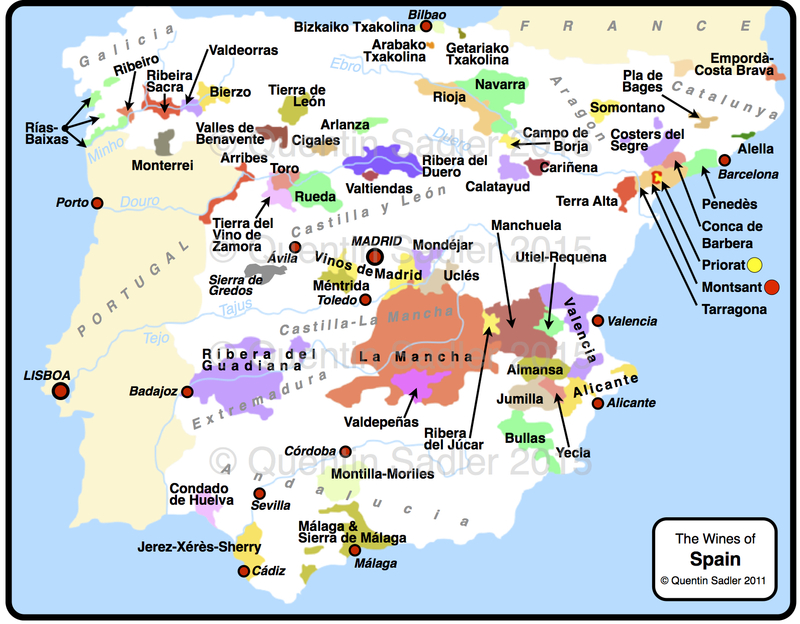 This is a rank above most other Spanish wine regions, which are labelled as Denominación de Origen or DO, and the regulations are more stringent. 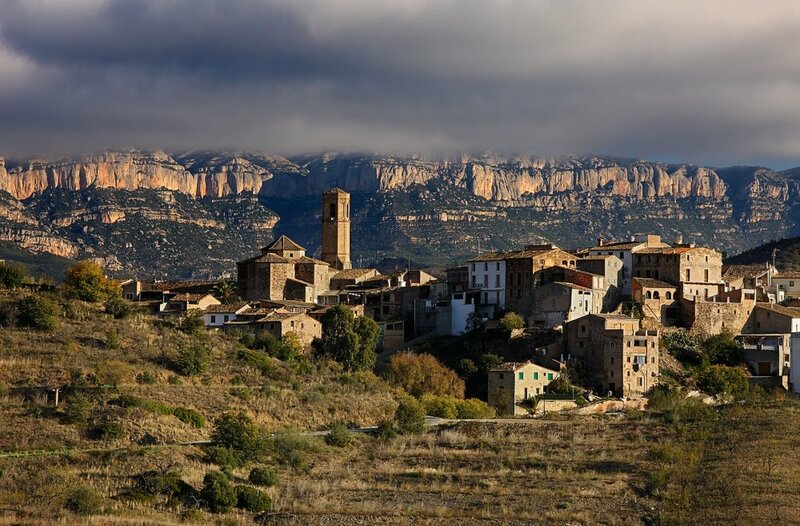 It is a wonderful place, beautifully rugged and mountainous with an amazing backdrop of the Montsant Mountains. It is most famous for the fine, spicy reds made from blends of Garnacha and Cariñena, often together with Syrah, Cabernet Sauvignon and Merlot, although some fascinating, rich and herbal white wines are made too. I am afraid that I know nothing about the wine, not definitely anyway, as the technical sheet I was sent says that it is a 50/50 blend of Tempranillo and Cabernet Sauvignon, while the back label on the bottle says it is a Grenache, Carignan / Garnacha, Cariñena blend. I think I believe the back label, as it doesn’t feel as though there is any Cabernet or Tempranillo here. The colour is a deep, opaque, vibrant purple. The aromas are of warming, spicy, herbs and rich berry fruit; blueberry, mulberry and cooked strawberry together with rich pear and wafts of sweet liquorice and sweet coconut and vanilla from the oak – presumably American oak. The palate is very juicy and supple, with plump fruit, smooth, ripe tannins and a twist of spice. It is nicely concentrated, richly fruity and very enjoyable indeed. It isn’t very complex, but it is delicious and pretty full-bodied. I cannot imagine anyone failing to be seduced by its charms. This wine over delivers for anything like the money, it was terrific just tasting on its own, but with a venison burger and a salad it gave me a huge amount of pleasure – 87/100 points, I originally gave it 85, but as the bottle went on, I marked it up for the pleasure it gave me. Available in the UK from Lidl for £5.99 per bottle. As I keep saying in these pages, I love finding new wines. Wines made in countries, regions or from grape varieties that are new to me continue to excite me. After 30 years in the wine business I can still find new things that I have never tried or even heard of before, which I think is wonderful. With winter settling in I seem to be drinking a bit more red, although not exclusively, and I recently found a really terrific wine and so made it my Wine of the Week. 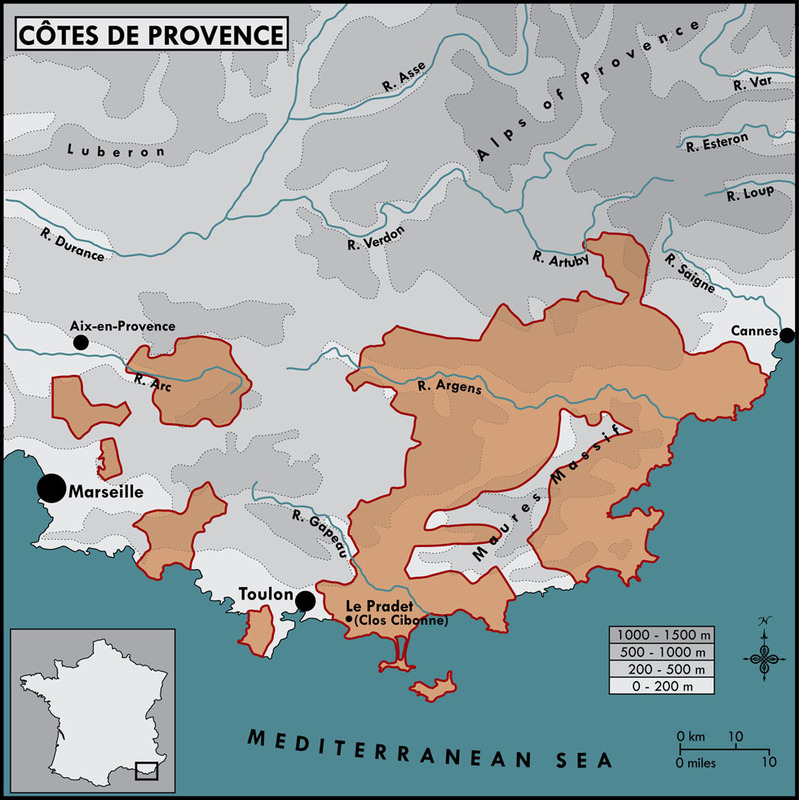 Wine map of France – Provence is on the eastern Mediterranean coast. Côtes de Provence showing the location of Clos Cibonne – map courtesy of De Maison Selections. If I am honest Provence somewhat passes me by most of the time. Obviously I know about the famous rosés, loved some Bandol reds and rosés, have tasted the odd Cassis (the white wine, not the liqueur) and remember being very impressed by some fine Priorat-like reds from the Les Baux-de-Provence appellation too, but my experience of this region is very limited indeed. In fact I have never been there and must put that right as soon as I can. 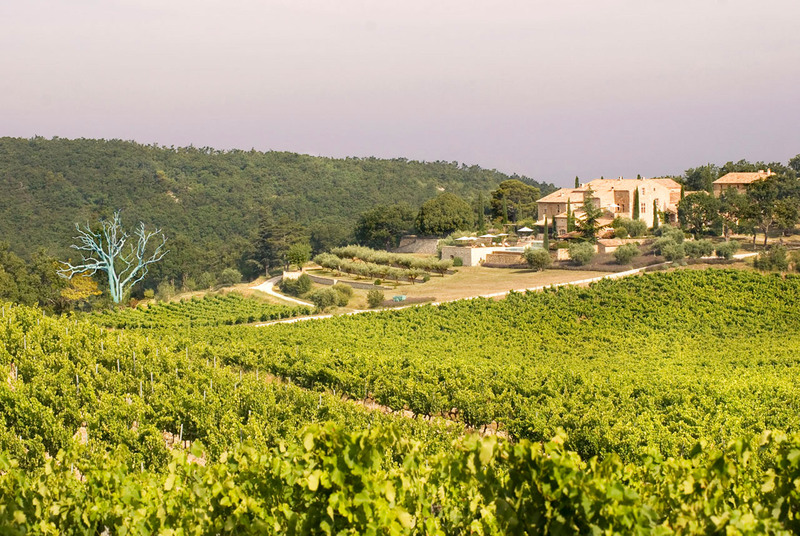 The Clos Cibonne is an old estate that the Roux family bought from Royalist Navy Captain – the French Navy base of Toulon is nearby – Jean Baptiste de Cibon in 1797. In 1930 André Roux completely modernised the winery and had the label designed too. Such was the estate’s renown, that Clos Cibonne was created a Cru Classé with the classification of the vineyards of Provence in 1955. The classification of Provence was similar to that of Bordeaux in 1855 in that it ranked estates and was not concerned with the vineyard or soil like the Grand Crus of Alsace, Burgundy or Champagne. 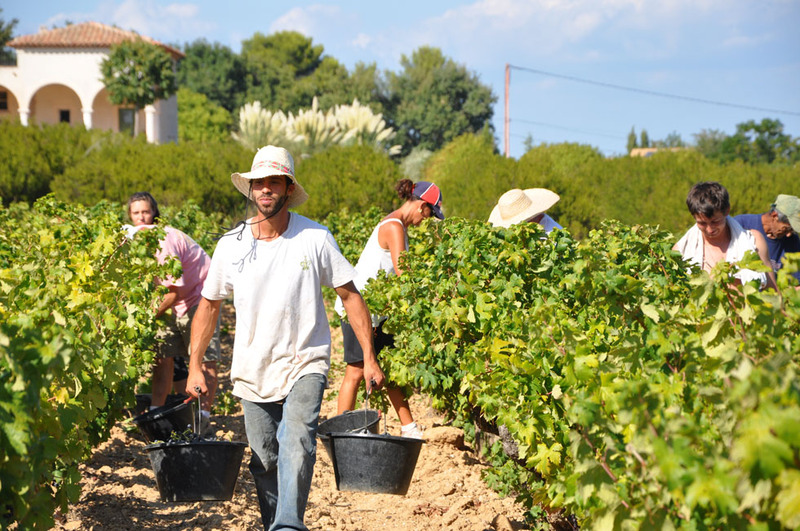 The harvest at Clos Cibonne, everything is done by hand – courtesy of De Maison Selections. Clos Cibonne had fallen on hard times again by the late 1990s when André Roux’s granddaughter Bridget and her husband Claude Deforge took over the running of the estate. They nurtured the vineyard back to life and renovated the cellars, but kept the traditional winemaking ways and the old wood foudres. 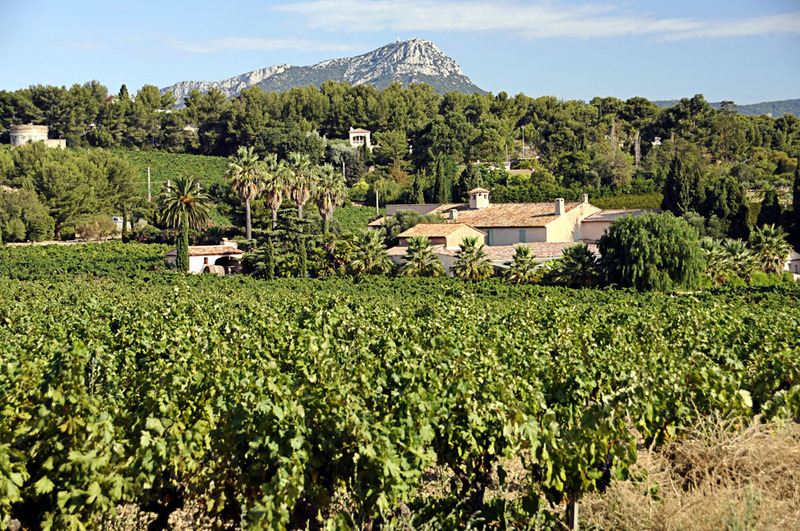 Today the Roux-Delorge family farm 15 hectares just 800 metres from the Mediterranean. The vineyards are surrounded by the Maure mountains that make the estate a sort of amphitheatre facing due south. This gives perfect sun exposure and allows them to achieve remarkable ripeness and to minimise vintage variation. The sea breezes also temper the effects of the sun and allow them to have excellent freshness and acidity in their wines that makes them very drinkable indeed. While not certified organic, they do practice sustainable viticulture or lutte raisonnée. The family remain committed to the local Tibouren grape that is widely used in Provence for the rosés, but not so widely for the reds – in fact only 15% of production in the region is red, so Clos Cibonne are unusual in focussing on making red wine – although they do craft a rosé from their oldest vines. This Cuvée Speciale red is 90% Tibouren together with 10% Grenache which lends some richness and fat. The wine is traditionally aged under fleurette (a thin veil of yeast, but that just gives complexity, it is not Sherry-like) in 100-year-old, 500 litre foudres. The nose offers gorgeous wild herb aromas – garage – together with ripe fruit, earthy, savoury notes and a light touch of the sea. The palate is quite fleshy with excellent concentration of fruit and medium body, some nice refreshing, cleansing acidity and an inky feel which sounds odd, but is actually delicious. Those wild Mediterranean herbs return on the palate too. The wine is deliciously smooth, with light supple tannins and lovely balance between savoury characters, ripe fruit and freshness. The finish is very, very long with fruit and savoury, earthy flavours lasting the whole time. I was thrilled by this wine, it is so obviously a genuine wine that speaks of a place and has a style all its own, although if you enjoy Rhône wines, Burgundy or good Beaujolais you will enjoy it – 92/100 points. Available in the UK from Red Squirrel wine for around £20 per bottle. Available in the US through De Maison Selections, Crush Wines and Spirits – for other stockist information click here. In the summer this would be a great barbecue wine, even lightly chilled, but in winter it is perfect with game, roasts, pies and casseroles. It would be even be a great choice with Christmas dinner. Winter seems to be in the air, so my thoughts are turning to red wine again. I am still hoping for a late Indian Summer though, which would give me a chance to get out some of the mouthwatering white wines that are sitting in the rack looking up at me expectantly. Regular readers will know of my love and fascination with all things Iberian and Spanish – especially the wines. Recently I presented a tasting of the less usual wines of Spain and everything I showed went down very well. Indeed a couple of the wines have already been Wines of the Week and they are really good – click here and here. Many of you will know about Priorat, one of Spain’s – and the world’s – greatest wine region and certainly one of the most expensive. 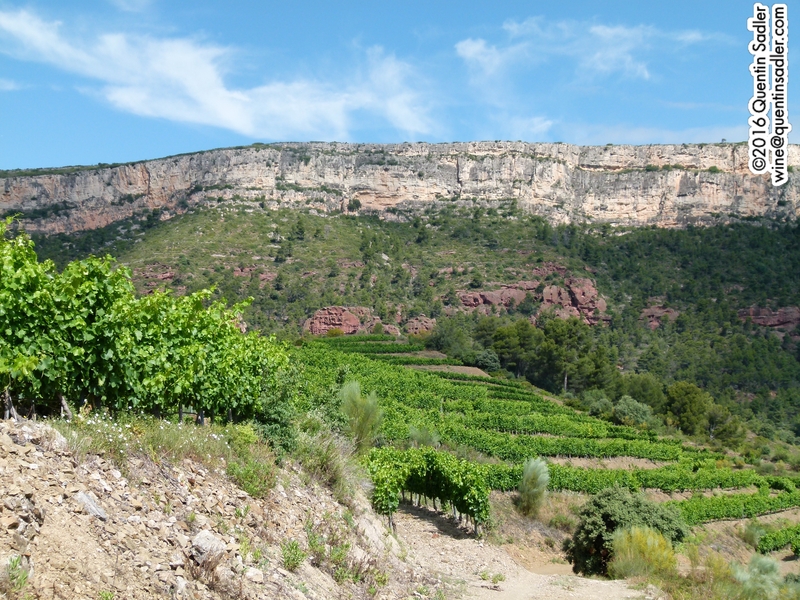 This amazing, rugged landscape specialises in producing richly mineral red wines that are usually made from blends based on Grenache, or Garnacha as the Spanish call it and Garnatxa as the Catalans call it. A few of the red wines are Carignan / Cariñena / Samsó dominated blends, while a small number of producers craft superb white wines from grapes like Garnacha Blanca and Macabeo, as well as Marsanne, Roussanne and Viognier. 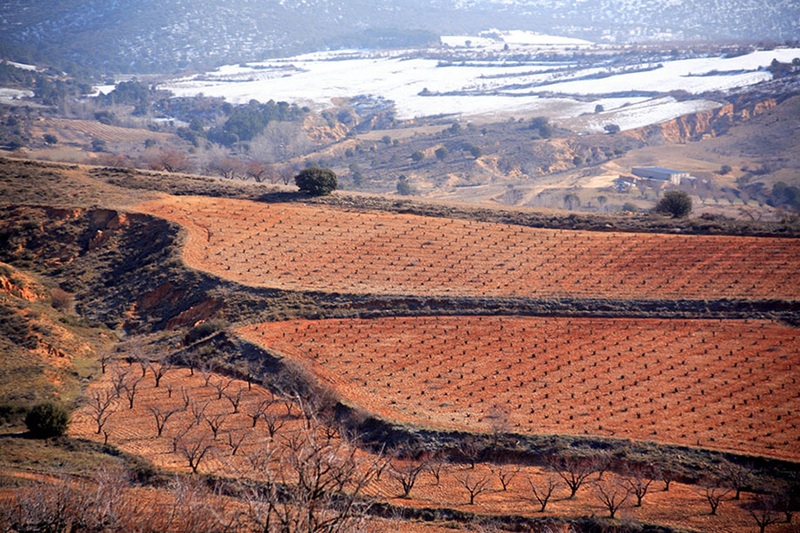 Priorat is one of only two regions to hold Spain’s highest classification, Denominación de Origen Calificada (DOCa) – it is Denominació d’Origen Qualificada or DOQ in Catalan. The only other region to have this so far is Rioja. Priorat is tiny and the wines expensive, but luckily for us it is almost completely surrounded by another wonderful wine region – Montsant. 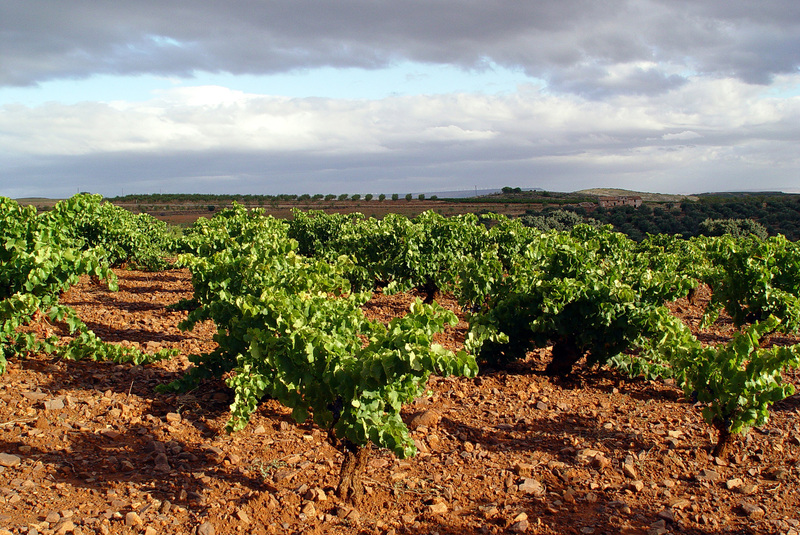 This region is only a relatively humble DO or Denominación de Origen – but then so is Ribera del Duero – but it can produce wines of real quality. Recently I tasted a superb Montsant, that was so good I showed it at my tasting and everyone loved it so much that I decided to make it my Wine of the Week. The Joan d’Anguera estate in Montsant’s rugged, but beautiful landscape. The story here is an old and familiar one, the d’Anguera family have farmed these wild hillsides for centuries, scratching a living by providing grapes for the cooperative. However in the 1970s Josep d’Anguera decided to get more ambitious, perhaps he was influenced by the Priorate pioneers, or perhaps he just realised the potential of his land, but he planted Syrah and that had a really positive effect on his wines. It certainly made them easier to sell, but also tamed and softened the more rustic grapes in the blends, although now they are reducing the amount of Syrah in their blends in favour of the traditional local grapes. 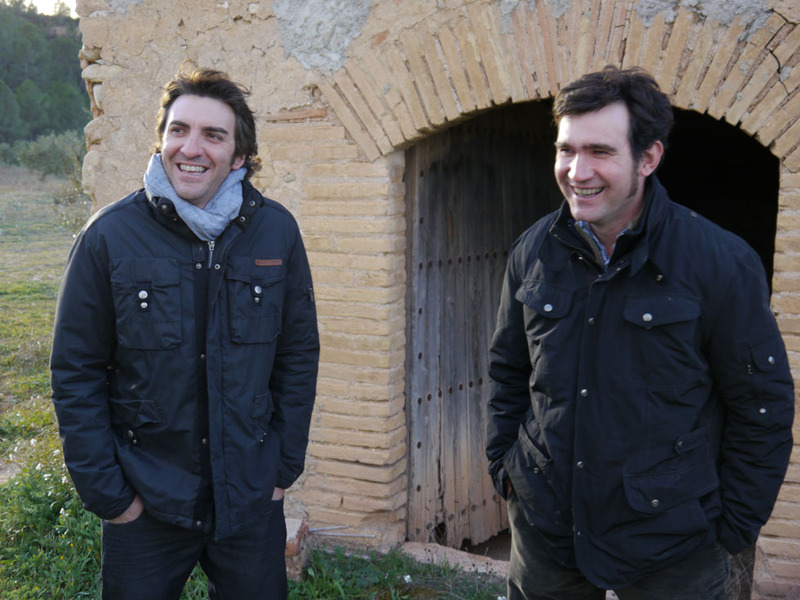 Today the estate is run by Josep’s sons, Josep and Joan and they too are forward thinking and ambitious and from 2008 to 2012 they were in conversion to biodynamic viticulture – 2012 was their first biodynamic vintage. 50% Cariñena / Samsó / Carignan, 45% Syrah and 5% Garnacha / Garnatxa / Grenache. Fermentation in concrete vats using indigenous yeasts. Aged for 12 months in old French oak barrels. The colour is rich and opaque, while the nose gives lifted aromas of sweet dark fruit, warming spice, wild herbs and smoke. The palate is mouth filling, mouth coating and wondrously smooth. The texture is very seductive, as is the intense ripe fruit, blackberry, mulberry and nuggets of raspberry and cherry. Savoury, spicy, smoky characters balance the fruit, together with a light touch of spicy oak and a seam of slatey minerality. The tannins are very smooth and ripe, adding to that seductive, sumptuous feel. This is a terrific wine that will wow anyone who tastes it – 91/100 points. This is a lovely food friendly style, try it with anything meaty or hearty, especially cassoulet, pot roasts or slow roast garlicky lamb. Available in the UK for around £13-£16 per bottle, from James Nicholson (NI), Forest Wines, Harvey Nichols, L’Art du Vin, No 2 Pound Street, Prohibition Wines, Salusbury Wine Store, St Andrews Wine Company. For US stockists, click here. The wild, sauvage, landscape of Cairanne. It is a strange truth that one of the most famous, popular and sought after French wines is usually pretty disappointing – unless you spend a great deal of money. Many of you will instantly know that I am talking about Châteauneuf-du-Pape the French classic that everyone seems to know about, even of they have never heard of any other French wines. Which is the nub of the problem really. That very popularity makes them sought after, but of course most people drink the cheaper versions, which are a mere shadow of what Châteauneuf can be. I say cheaper, but I tasted a pretty ropey one the other day and that retailed for nearly £25! I have said it before on these pages, but it seems to me that if you like the style of Châteauneuf-du-Pape wines, but do not want to pay a fortune, then you often get better wines and much better value by buying a good Côtes du Rhône. This is especially true of two types of wine: The Crus and the Côte du Rhône-Villages that can also put the particular village name on the label. A Cru in French wine parlance is a specific wine, sometimes a particular vineyard, but more commonly it refers to a village. So Châteuneuf-du-Pape is a Cru of the Southern Rhône, but there are others that offer much better value, Lirac, Gigondas, Vacqueyras, Rasteau and Vinsobres are all well worth trying. 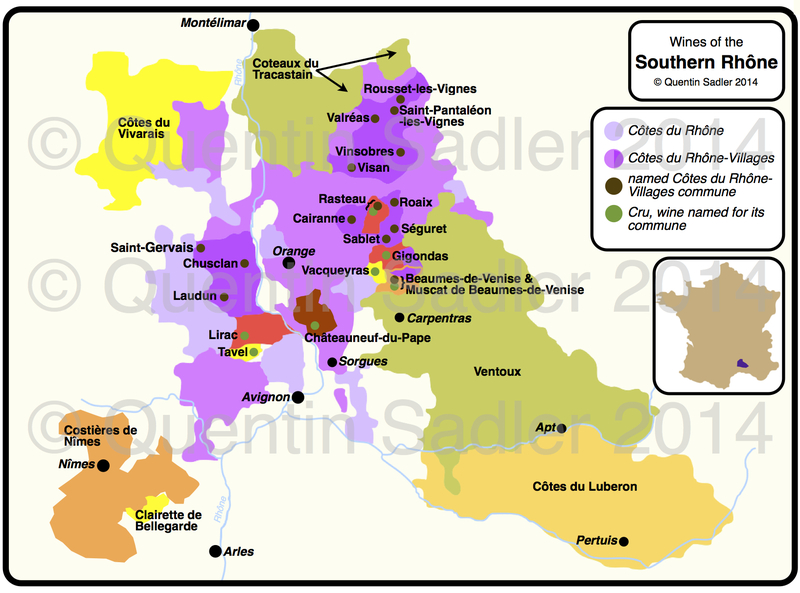 Wine map of the Southern Rhône – click for a larger view. In theory the Crus should be better wines than my next category, but that is not always the case. This is the top tier of Côte du Rhône-Villages, the ones that can addd the name of their village to the label. The hierarchy goes: Côtes du Rhône as the basic level. Then Côte du Rhône-Villages, which is thought to be better and certainly the regulations are stricter and yields are lower. Even better still are the Côte du Rhône-Villages wines that have their village name on the label as well. Again the regulations are stricter and the yields smaller. There are 18 such villages at present, although that does change as some get promoted to Cru status from time to time. 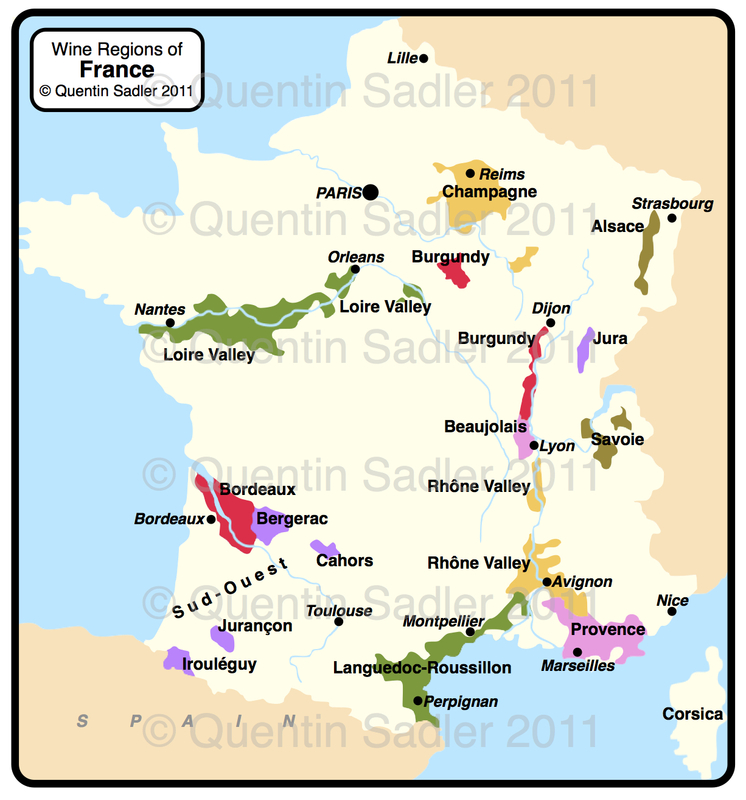 Some of them are much better known than others, here is the list; Rousset-les-Vignes, Saint-Pantaléon-les-Vignes, Valréas, Visan, Saint-Maurice, Rochegude, Roaix, Séguret, Sablét, Saint-Gervais, Chusclan, Laudun, Gadagne, Massif d’Uchaux, Plan de Dieu, Puyméras, Signargues and most famously Cairanne – which is set to become a Cru itself very soon. 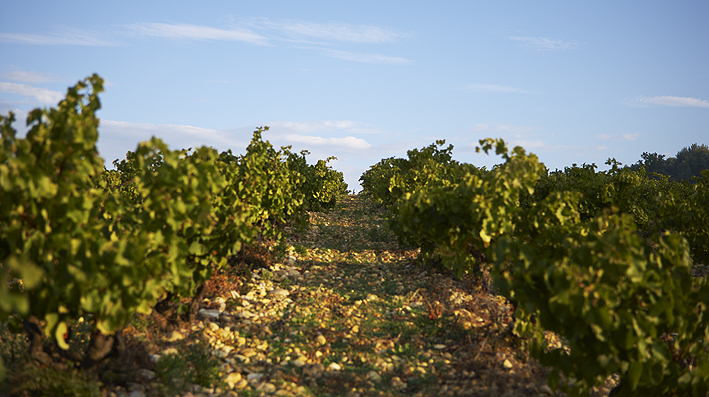 The classic stony soils of the southern Rhône Valley. Well the other day I tasted a Cairanne that was quite superb, much better than that ropey, but much more expensive Châteauneuf-du-Pape. In fact it was so good I have made it my Wine of the Week. This is a you might expect this is mainly Grenache with some Syrah and a little Mourvèdre and Carignan – a classic Southern Rhône blend just as you find in Châteauneuf-du-Pape. The vines are pretty old and sit on a slope overlooking Cairanne Church, the soil is the classic stony soils of the region that absorb heat and reflect light into the vines. It was fermented using just the wild yeasts, which makes for more complex flavours and textures in the wine. The wine aged for 24 months in used ( second and third fill) French oak barrels and 600 litre vats. This is a rich looking, opaque wine that reeks of rich cherry, deep plum, spices and wild herbs. The palate is opulent, rich and mouth filling with sweet ripe red fruit layered with spices, herbs, savoury meaty, mushroom flavours and seductive fine grain, supple tannins and mocha infused oak. This never falls into the trap of being gloopy, over alcoholic or clumsy. Actually it is focussed and elegant with great balance between the fruit and the power and the tannins and oak that give it structure and tension. The finish is long and deeply satisfying, what a wine – 91/100 points. This really is a stunner and so easy to match with food, shepherd’s pie, sausage and mash would go perfectly, but so would roast lamb and cassoulet and it is fine enough to grace any table anywhere. I have just discovered that they make magnums of this – available here – how good would that be for Christmas? Available in the UK for around £13-£15 per bottle, from Wine Poole (2011), The Oxford Wine Company, All About Wine, The Ram’s Head at Denshaw, D&D, The Secret Cellar, Rannoch Scott Wines, Great Grog, Chester Beer & Wine, Blacker Hall Farm Shop Wakefield, Davis Bell McCraith Wines. For US stockists of the equally excellent 2011 vintage, click here. I don’t know how it is where you are, but this winter feels pretty cold here in the UK. Not Siberia cold, but at between 0˚ and 2˚ C in the night and hovering at around 7˚ in the day it’s quite cold enough for me. In fact it makes me want hearty stews and rich red wines. Well, the other day I tasted a red wine that is a real inter warmer and indeed I did make a hearty stew to accompany it. It was a delicious wine and what’s more it was a Grenache, or Garnacha as they call it in Spain – after all it is really a Spanish grape. I seem to like Grenache more and more in all sorts of styles and Spain certainly produces some stunning examples. I was came from Spain, from a region that is not very well known, but that really ought to be as to makes some excellent wines. The region is Madrid, or as the wine region is called, Vinos de Madrid and I have written about the region here as well as wines from nearby here and here. It might seem strange that Spain produces a wine that I can describe as a winter warmer, but do remember that Madrid is the highest capital in western Europe and it can get pretty cold there. What’s more, this wine comes from just to the west of Madrid itself and is really grown in the eastern fringes of the Sierra de Gredos and they get pretty high, 2592 metres at their highest point, so it can be pretty cold up there in winter too. This wine though is produced in the town of San Martín de Valdeiglesias and the vineyards sit at 850 metres above sea level, which is pretty high. That height is a good thing too, because although winter around here is cold, summer is blisteringly hot, so that altitude ensures the grapes are growing in cooler air which means the finished wine will be fresher than it would otherwise be. The town is about 70 kilometres west of Madrid and the name, Valdeiglesias, means Valley of the churches because there are a great many churches there. The region has made wine for centuries and Goya’s cartoon called The Grape Harvest is thought to depict the area. the wines of the place also get a mention in Captain Alatriste, Arturo Pérez-Reverte’s swashbuckling novel. Vineyards at Viñedos de San Martin. 100% Grenache / Garnacha, hand harvested and aged for 10 months in French oak. The nose was rich with fruitcake aromas of raisins and spice. You do notice the 15% alcohol, which gives a touch of a dry Port like character – smelling a wine like this you can see why the aussies used Grenache to make their ‘ports’. The palate delivers the sweetness of dried fruit, especially prune and fig, some fresh strawberry and cherry fruit too, spice, quite a punch of warming alcohol, touch of white pepper, leather, tobacco, an earthy minerality and a touch of brown sugar or caramel. The palate is very smooth, almost creamy and mouth filling with soft tannins that have a sweet ripe, fine grain character. I like this wine, you can taste the heat, but the palate recovers its balance and the finish is long. Try this with a heart meaty casserole or cassoulet type dish. Available in the UK from Grey’s Fine Foods at £11.75 per bottle. Greys also sell a wonderful range of Spanish foods, so you could always order some Jamón too! Available in the US from Saratoga Wine Exchange.